As we slip deeper and deeper into fall, our family is starting to eat more cold weather food – thicker soups and chowders and so on. Hand in hand with this is our ongoing effort to slowly clear out the recesses of our pantry and our freezer by using items that have been in there for a while and largely forgotten. 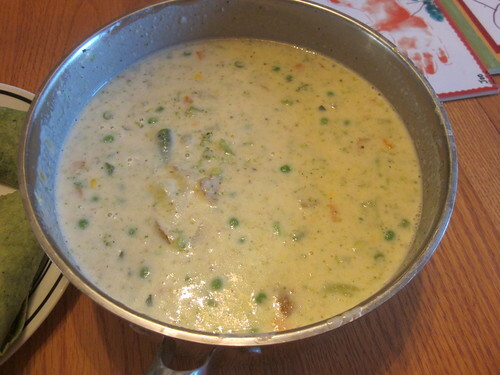 The result of this is our own homebrewed “Wisconsin farmhouse chowder,” which takes several different ideas from recipes we’ve heard and things we’ve tried in the northeast Iowa and southwest Wisconsin area. It’s simple to make and I hope you enjoy it. Making the mushroom cream is simple. Simply take two cups of milk in a saucepan, toss in the dried mushrooms, and let it simmer for half an hour. Add a dash of pepper and a dash of salt, then add two tablespoons of flour and stir it until the mushroom cream thickens a bit. You can add more flour if you’d like, but don’t thicken it until it’s solid. 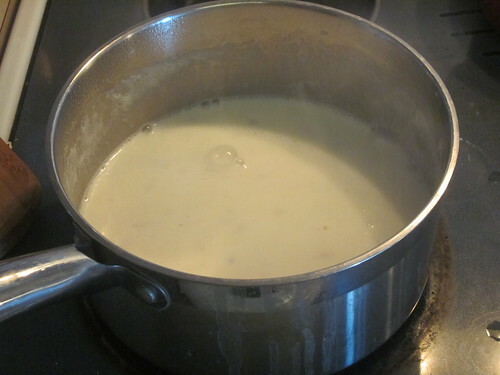 Once you have the mushroom cream, described above, add the remaining milk to it, stir thoroughly, then raise the heat to a low boil (medium to medium-high heat should do it). Add all of the rest of the ingredients at this point except for the peas, stir thoroughly, then allow it to simmer for fifteen minutes, stirring regularly. Add the peas at the fifteen minute mark, stir thoroughly, and allow to simmer for about three more minutes. Pull the soup off, allow it to stand for five minutes or so, then serve. 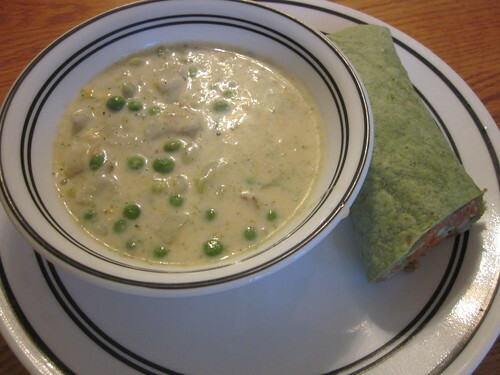 We served the soup alongside the wraps from last week. 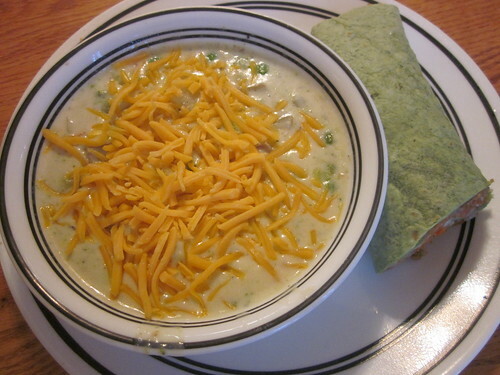 Many different types of wraps or sandwiches could accompany this soup. Another option is to simply toss a small handful of shredded cheddar on top of the soup, as shown here. One simple step would be to replace the homemade mushroom cream with canned cream of mushroom soup, though there may be a flavor degradation here. Since switching to making my own by boiling mushrooms in milk, I’ve never really wanted to use the canned kind. 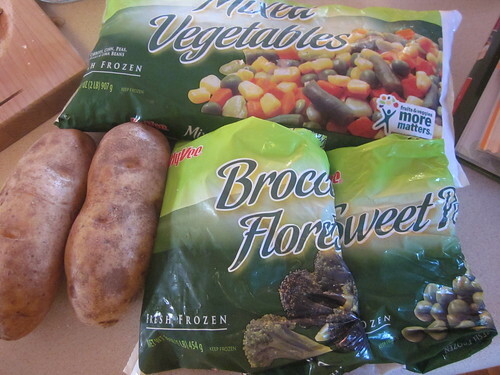 You can also somewhat vary the vegetables according to what’s available to you.